Like a well-oiled machine, McLaren continues to churn out model after model, each just a little more desirable than the one before it. 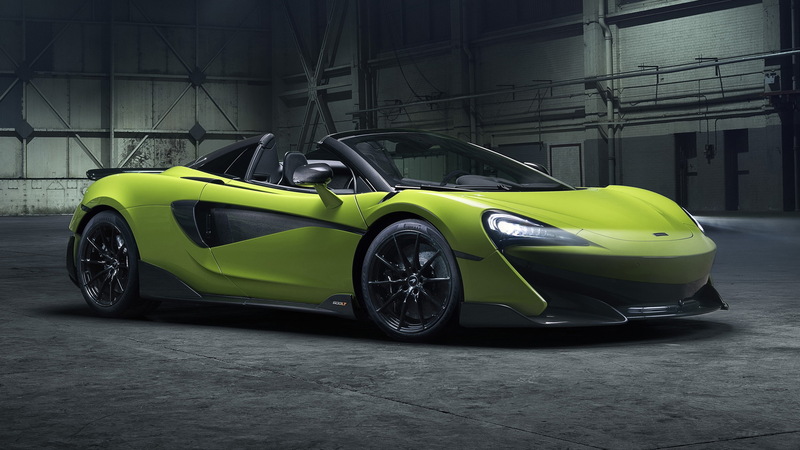 The latest arrival is the 600LT Spider, the open-top version of last year's 600LT coupe and the new flagship of McLaren's entry-level Sports Series range. For those unfamiliar with the LT designation, it's short for “Longtail,” which McLaren first applied to an F1 GTR race car in the 1990s, due to its stretched rear section that was implemented for aerodynamic purposes. Since then the designation has been turned into a trim level, with the first road car to carry it being the 675LT from a couple of years back. All you need to know is that it means extra power, less weight and optimized aerodynamics. 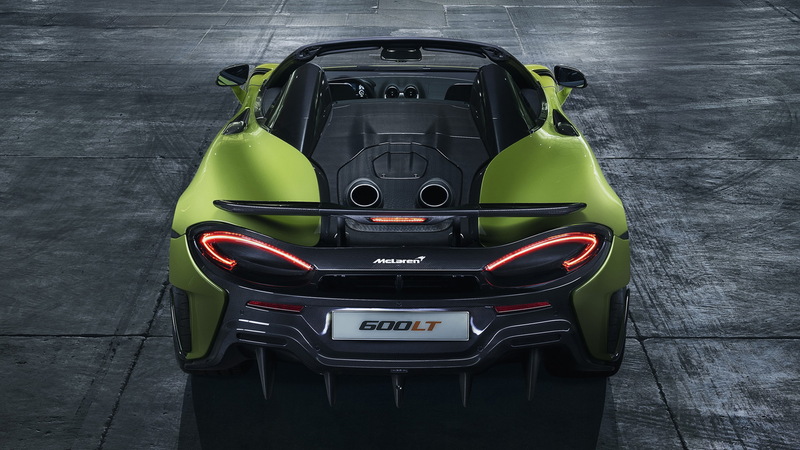 Like the 600LT coupe, the 600LT Spider boasts a 3.8-liter twin-turbocharged V-8 dialed to deliver 592 horsepower and 457 pound-feet of torque. It's mounted behind the cabin and is paired with a 7-speed dual-clutch transmission. A longer tail realized via a stretched rear diffuser and fixed rear wing are also present, as are several weight-saving mods including carbon fiber body panels, a stripped cabin, and less exhaust piping (hence the reason the exhaust tips are right on top of the engine). The dry weight is a claimed 2,859 pounds, or about 110 lb more than the coupe and 220 lb less than the regular 570S Spider. Performance is also enhanced with the addition of Pirelli P-Zero Trofeo R tires. The result is a convertible sports car that sprints to 60 mph from rest in just 2.8 seconds. 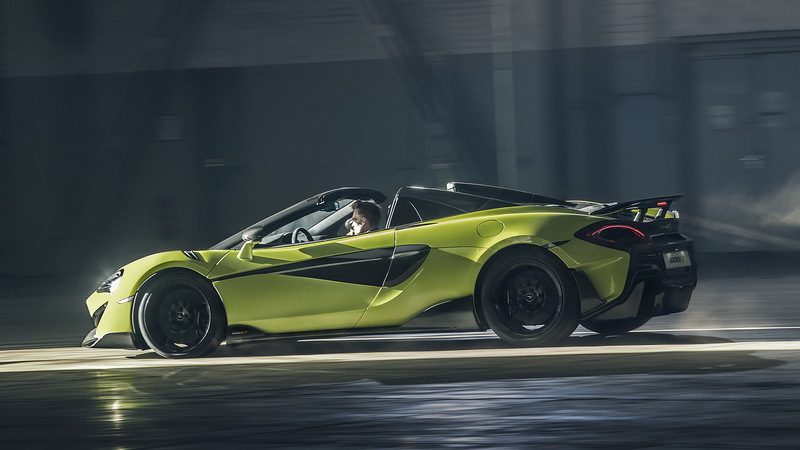 The top speed is a claimed 201 mph, reduced to 196 mph when the top is down. The retractable hard-top roof is made from composite materials to save weight and at the push of a button can open or close in just 15 seconds, including when driving at speeds up to 25 mph. 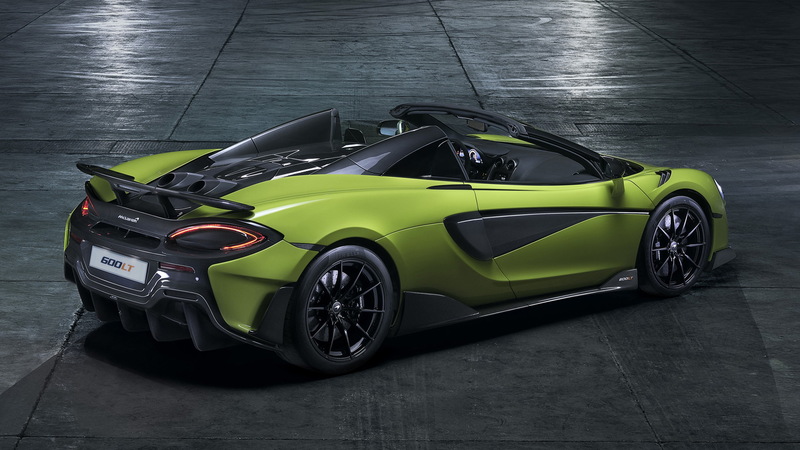 McLaren is currently accepting orders for the 600LT, which is priced from $256,500 and starts deliveries later in 2019. 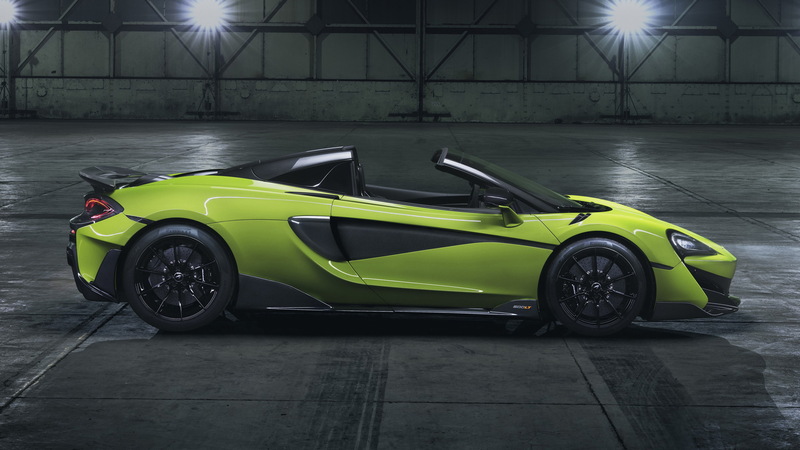 If you're interested, you'd better contact your local McLaren dealer in short order as LT models typically sell out within weeks of being announced, and this will likely be the case for the newest one too.